With pump bits sorted, we made a late start out of Lefkas. We had to wait in the channel for the swing bridge to open on the hour and then it was off to Paxos. 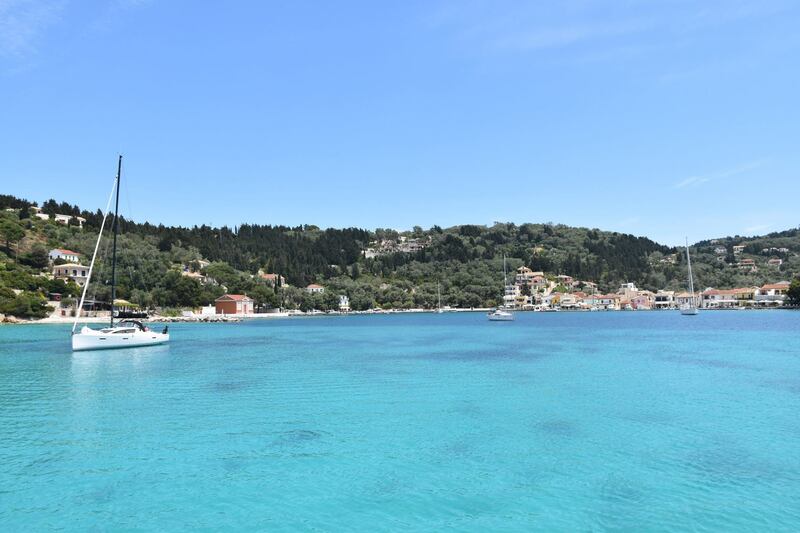 Our original plan was to anchor off AntiPaxos on the way there but time and wind was against us so we had to do with just Paxos. Paxos is one of those little gems in the Greek Islands that often gets bypassed for the bigger sexier islands – in this case Corfu. Paxos is only 5 miles long and 2 miles wide. Its claim to fame is that Harrods only buys its olive oil from there. We were pretty well stocked with olive oil so we passed but did stock up with more wine from a great little wine shop. Can never have too much wine! Our first stop was Port Gaios which looks fascinating on the chart and in the photos. The small harbour sits behind a large-ish island with a small channel running between. There’s a south entry but we choose the north one as this looked much more interesting. We weaved our way through the narrow channel past lots of fishing and day tripper boats to the town wall. We found a perfect spot, one of the few remaining and went stern to in clear water. We could literally step out into the restaurant strip perfect. It’s quite funny cooking on the BBQ on the back of the boat metres away from lovely restaurants but when you are cruising full-time you can’t afford to eat out every night so we limit our restauranting when we can. Next morning we moved a short distance up the coast to the top of the island where we found the beautiful almost land locked bay at Lakka. 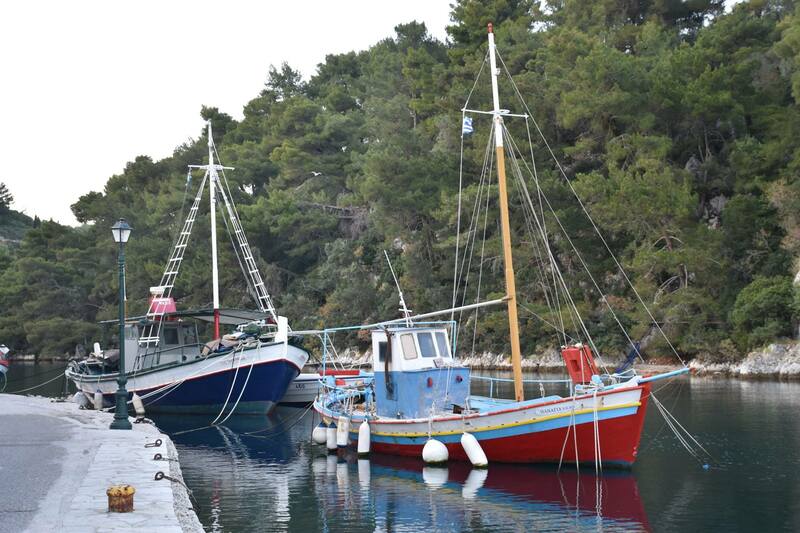 This is what Paxos is really known for – beautiful clear bays with sandy bottoms. We parked up in 2m of water and jumped in for a bit of bottom cleaning. The water is still a little cold but hey its only May. Later on we dingied into the small town of Lakka and had a look-see and a walk around to one of the swimming beaches. We spent the night here before upping anchor early next morning for our 3 hour sail across to Corfu. This entry was posted in Greece and tagged Lakka, Port Gaios by stull61. Bookmark the permalink.